Most banks and other lenders will require you to submit a hardship letter as part of your short sale package. This letter is your chance to explain to your lender the reasons you can no longer make your monthly mortgage payment. In this letter, you need to make it clear to the lender that you do not have the financial ability to make any future payments on the home and that it will be in the bank’s best interest to accept your short sale. There are certain things you could say or do in a short sale hardship letter that could keep your short sale application from being approved. You want to avoid these mistakes! You are attempting to negotiate a short sale because you cannot afford your mortgage. If you give the lender a reason to believe that this hardship is only temporary, they are not likely to approve your short sale. Do not say that you are hopeful that your financial condition will improve soon. With so many people looking to short sell their property, if the lender believes your situation can turn around, they will look to approve a short sale for someone whose hardship letter presents a financial condition that will not improve. You need to convince the lender that your situation will not get better and that the property will fall into foreclosure if a short sale is not approved. Do not expect a lender to be sympathetic if you lost all your money gambling, spent it on drugs and alcohol or lost your source of income due to a long stint in jail. 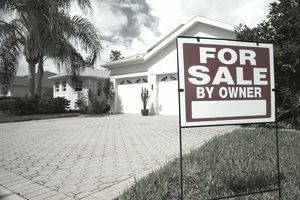 There are many other prospective short sale candidates waiting in the wings who have serious financial problems because of heartbreaking reasons such as job loss or a death in the family. A lender wants to see someone who has been responsible in trying to pay their debts but has no other way out from underwater at this point. Do not mention your ability to obtain more money in your hardship letter. This may seem obvious, but it is not always so cut and dry. You may think you are describing a negative situation, but the lender may view your statement positively. If the lender thinks you have a sister who could potentially lend you $15,000, you may not be approved for a short sale, or you may have to put in a seller contribution when the short sale occurs. Do not use this type of example to prove a point. Do not include any additional money you could have access to, even if it is theoretical. Loss mitigation departments will have hundreds or thousands of hardship letters to go through, so keep your letter short and to the point. Describe what caused your hardship, how you have tried to remedy the situation and why the hardship will not improve, and a short sale is your only option before foreclosure. Try to keep your hardship letter to one page in length. Do you remember when you were applying to college, and you had to write the dreaded college essays? In addition to proving that you could form complete sentences, the purpose of these essays was to show the university what was unique about you and what differentiated you from other applicants. The same is true of the short sale hardship letter. The lender wants to hear about your unique circumstances. They don’t want to read some template you got off the internet. In this technology-driven age, a handwritten letter is often a nice touch.